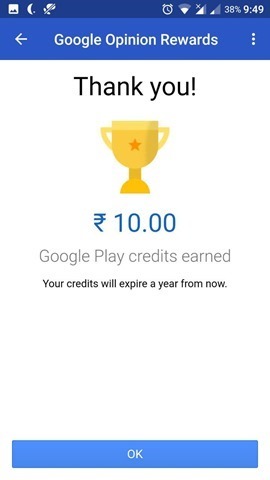 Google Opinion Rewards, the program which lets you earn Google Play Credit for answering surveys, is now available in India, Singapore and Turkey. Here's how it works. Google will ask you to fill up some basic information such as your age, gender, average yearly income, etc, and based on your answers you will be getting surveys to answer. Enable GPS (location services) and then run the app. This is what the app uses to send surveys, i.e, you will be asked questions based on your location history. For e.g: It may ask you about a particular hotel, restaurant, store, etc, where you have been. Google Opinion Rewards is tricky, and if you provide false information, you might as well forget the survey reward. It is known to ask simple and well known questions, and it will know when you provided a wrong answer. So make sure that you are 100% honest when answering the survey, else you won't get future surveys. 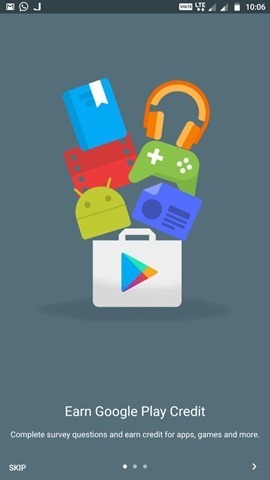 The rewards aka the Google Play Credits can be used to buy apps, games, music, etc from the Google Play Store. 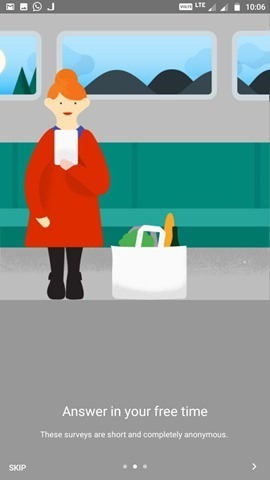 Download the Google Opinion Rewards app from the Play Store for Free. We earned Rs. 10 for answering the first survey. Surveys aren’t always available, and you will be notified when a new one is available. 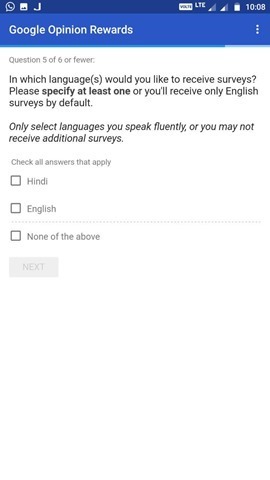 Indian users can choose English or Hindi or both as the survey language. 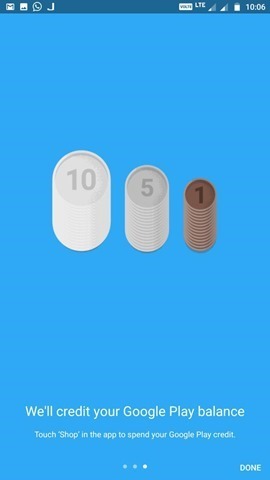 Google Opinion Rewards now available in India, Singapore and Turkey Here's how it works. Google Play gift cards are now available on Amazon India.